and win a rad TFM rooster sticker! Come by to claim your prize at the Info Booth during market. And don’t forget to tag us too! Because of all of the fun happening on the Plaza during the weekend of the Fiestas we will be re-locating for one weekend only to Kit Carson Park! There will be ample parking for customers. Will be a fun change of scenery for vendors and visitors alike. Saturday 7/29-end of season (November) we will be as usual in Taos Plaza. Plan ahead by bringing a blanket and make it a picnic-market with friends and family! Interested in becoming a part of the local food culture? Volunteer! 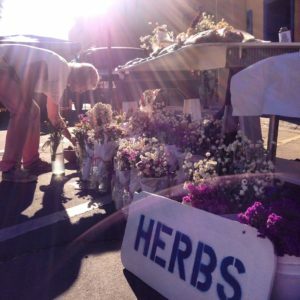 The best way to meet local farmers and artisans is to help them and market organizers on Saturday mornings! Subject: I want to Volunteer! 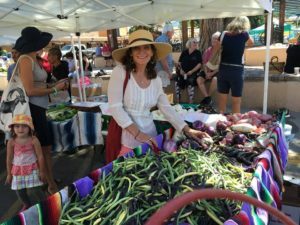 why you love the Taos Farmers Market? what is your availability this summer? THANK YOU!!! It takes a community to make the market a success, with your help we can do even more for each other! The city is buzzing with anticipation for Opening Day – we can’t even count how many times we’ve been asked when the market opens…. see you all at the plaza! 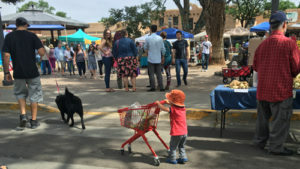 The Spring Vendor Meeting is THIS Saturday April 15th at 1pm at the Taos Library: 402 Camino de la Placita – we will be in one of the conference rooms. Have a chat with your fellow vendors who you’ve missed all winter! If you have not already turned in your 2017 Farmers Application please be prepared to at this meeting, we are always accepting local farmers! We are also still accepting applications for Prepared-Food vendors or Value-Added vendors (no bakers), as we have a few spots to fill. Also if you turned in your application but forgot to include your signed Rules & Regulations page: this must be turned in if you plan on vending this season. On behalf of the TFM board and employees, we look forward to meeting all of you, if we haven’t already, this Saturday 4/15 at 1pm at the Taos Library. Vendors who would like to be considered for our 2017 season can now find 2017 Vendor Applications online. Click on the ‘Vendors’ tab in the above menu, scroll to the bottom for links to our applications. Please fill out the correct application: Farmer/Rancher OR Non-Farmer – and ALL vendors must sign the 2017 Rules & Regulations. Building a new website! Thank you for your patience!